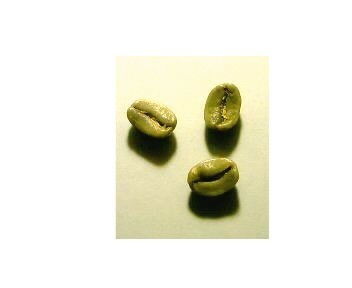 For quality green coffee beans at wholesale prices! "Andrews Green Beans" is a small registered & licensed 'Sole Proprietorship' green bean wholesale business in Toronto, Ontario, Canada, operated in my spare time, NOT full time hours; from my private residence. Please bear with me, & the growing pains! Charter "C member" # 48 of the ©memberprogram, consumer members of the SCAA. All of my green coffees offered for sale here are of the highest quality I can source, called "Specialty Grade" & is the highest quality offered in the commercial trade by the green bean brokers. I cup all coffees for sale, & if they don't meet my high standards I will NOT sell them, period! Coffees not matching the cupping samples I receive (never has happened yet! ),WILL be returned to the broker. If it's not good enough for myself, it's CERTAINLY not good enough for you, the customer either! The only exception is International orders for the 2,000 gram, 2kg, 4.4 lb Canada Post Small Packets Surface International rate, & of course personal pickups. Discounts are as follows: (Added Wed June 22/11) From 2 lbs - 4 lbs 5% off per/lb, 5 - 9 lbs 10% off per/lb, 10 - 24 lbs 15% off per/lb!, Cheers!! For Sale: I have refurbished old version Behmor 1600 roasters for sale for $250.00 Canadian with a six month warranty. Pick up only! Sold out! Sorry, no US sales due to cross border warranty issues, associated duties., & excessive shipping costs. For Sale: I was also the Authorized Canadian Baratza Warranty Repair/Refurb Service Center for Canada since May 2010 to April 2012. I have refurbished Baratza grinders for sale & all have a 6 month warranty. Sorry, sold out! P.S. As of the end of April 30th 2012, I will no longer be selling Baratza refurbished grinders due to a Baratza USA re-organization. I will however be continuing as an authorized third party Canadian Baratza service center for after warranty repairs. All after warranty repairs are warrantied for a period of 6 months. Please Note: All parts that I have are supposed to be to fix, repair, refurbish all the models of Baratza grinders only & not for sale to the public.For parts please contact: Support@baratza.com . Maestro @ 83.00 each. New lower price: $70.00, a 15.5% savings! Sorry, sold out! Maestro Plus @ $98.00. New lower price: $95.00, a 3.1% savings. Sorry, sold out! Virtuoso @ $151.00 each. New lower price: $143.00, a 5.3% savings. These have the old style burr set, but I can install the new Lictenstein burr set for $50.00. Sorry, sold out! Preciso @ $239.00. Sorry, sold out! Vario @ $380.00 each. Sorry, sold out! SB Barista @ $80.00. Sorry, sold out! Don't forget to check the "What's New" page for upcoming Organic & Specialty coffees! I'll be listing more from the two companies & five brokers that I'm currently dealing with, from their "General Spot Offerings List" & "Organic Offerings List". Purchased as needed/required. 2 *Brazil Cerrado 17/18 FC (Fine Cup) Natural D.P. "Monte Carmelo" Cerrado region, State of Minas Gerais. 19 *Mexican "Monte Azul" Don Pepe® Coffee S.H.G. 22 *Malabar Gold® a proprietary Premium European Espresso blend created by Dr. John & is a registered trademark of the Josuma Coffee Company. (Sorry, sold out!). Reg $9/lb, On Sale $8/lb! 27 *Papua New Guinea Kimel A This coffee has a fruity, soft buttery mouthfeel, fine delicate fruit flavors perfectly balanced with a light acidity/brightness & medium body. Roast City - Full City, anything darker will destroy these fruit notes. (Sorry, sold out!) $6/lb. 28 *Papua New Guinea Mawari This coffee is similar to the Kimel A, but as the cup cools it has a hint of bittersweet bakers chocolate & a slightly deeper earthier tone to it. (Sorry sold out!) $6/lb. 29 *Sumatra Gayo Mountain® Gr 1. SKAL certified. One of the oldest and most famous coffees, this is the real Mocha! Yemen Mocha Matari is the most recognized Mocha coffee known for its flavor and acidity, as well as for its full body, complex wine, spicy taste with chocolate undertones. It can be described as nutty, malty, spicy, winey, fruity, chocolatey and exotic.This coffee yields one of the most superbly aromatic and uniquely flavored cups in the world & is distinctive, pungent, smooth and piquant. A complex brew - full bodied and lingering in the cup with that mocha (natural chocolate) flavor, this coffee is a real treasure. Matari is the most recognized mocha coffee, the common ancestor of all coffee plants throughout the world.Yemen grows the true "Mocha", and the Mocha-Matari from the tiny port on the Red Sea of Yemen's west coast, coffee was originally introduced to the world.This port is known as Al-Makha, Al-Mocha, Al-Mokka - (Mocha).Excellent for Mocha - Java blends, espresso blends! This coffee cannot be combined for any of the discounts stated. This exceptional coffee is already being offered at a discount.Limit of 2 lbs per person.This coffee is being sold elsewhere at $13.18/lb & $16.44/lb on two other sites. $12/lb $10/lb! Annual Coffee Supply Schedule (Chart) Annual coffee supply harvest & shipping periods by Region & Country. All the above listed greens are $ 5/lb, unless noted otherwise, with the exception of the Brazil Natural's (D.P.) @ $ 4/lb, Cuban @ $ 6/lb, & C.C.Kona @ $ 10/lb, in Canadian funds. Note: Due to recent U.S. Customs regulations regarding the FDA Bio-terrorism legislation, I am no longer shipping coffee to the U.S.A. I have registered the company as of Wed Jan 21/04 for shipments to the USA, but I'll have to study the appropriate forms further. Payment accepted via PayPal, for US/International customers only please, Cross-border Fees for Receiving Paypal Payments (Premier/Business Account). These fees will have to be added into the cost of your order, currently stated as 3.9% of the order total., but it's actually more with the point spread that Paypal keeps, so is really 4.5% of the Grand Total of the order + $0.55 CAN for the cashout fee to my Canadian bank account, see the five rates included in the above "Receiving Payments" link. Also via hyperWALLET, hyperWALLET was developed by Canadian credit unions and it works with banks too. The Corporate site for hyperWALLET & hyperWALLET Fees. Please note; Postal money orders from the U.S. must be the pink "International" money order. The green postal money order cannot be cashed in Canada. Shipment of green coffee is "exact cost" by Canada Post website & will be dependant on speed of delivery requested,(Regular Parcel or XpressPost,etc), the amount purchased, and final box dimentions! I will need a complete shipping address, & please don't forget your Postal code or Zip code in your email request to me, I need this to calculate your shipping costs. *Direct quote from the Canada Post website* Please note that the prices quoted are estimates subject to adjustment by Canada Post. Insurance in most cases is optional. If you choose not to purchase insurance, my responsibility ends once I mail your package. To place an order just send me an email stating what you'd like, & I'll send a return email A.S.A.P. with the total cost, including exact shipping charges. There are NO shipping/handling fees either! Taxes: Green (raw) coffee is G.S.T, Goods & Services Tax exempt, & P.S.T., Provincial Sales Tax exempt. *SMBC - Certified Smithsonian Migratory Bird Center "Bird Friendly"